Is this man one of Rassie’s Springbok wildcards? Scrumhalf very much remains a troublesome position for the national coach. Now he’s broadening his search to a Cheetahs stalwart. Springbok coach Rassie Erasmus has suggested he’s considering a very interesting candidate in the national side’s troublesome scrumhalf position. 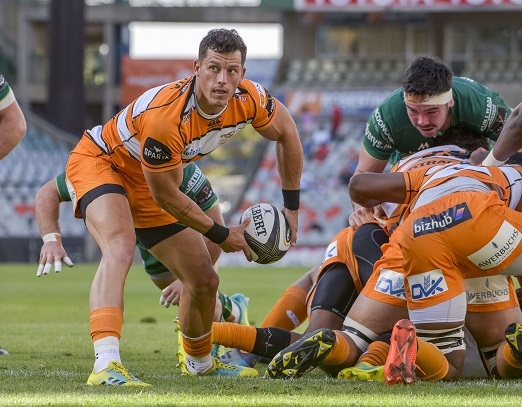 Cheetahs skipper Shaun Venter is suddenly in the frame following some good showings in this season’s Pro14 campaign. The 31-year-old halfback is arguably one of the more underrated backs in the country given that he’s essentially experienced the “best of both worlds” on the local circuit. Venter has extensive Super Rugby experience with the Southern Kings and Cheetahs and can now boast almost two seasons’ worth of insights from Europe. “I know that positions nine, two, five, ten and fifteen are positions in the Pro14 that really challenging because of the conditions, the different refereeing interpretations, and different pressures,” Erasmus told OFM. That acknowledgement is a feather in the cap for the man from eMalahleni (Witbank) as Cheetahs and Kings players have, in general, been sidelined from national consideration previously. At least Erasmus admits that the Boks’ brains trust are to blame. “We might not make a turn at the Cheetahs as often as we would like to and this purely because we were only appointed last year,” he said. Now settled into his role, Erasmus – who knows the Pro14 intimately as Irish giants Munster’s previous director of rugby – is giving the tournament and the local players involved the attention it deserves. “Obviously we’re analysing all the Pro14 games and I coached in this particular league as well,” he said.